It may seem like telecommunications companies are constantly touting how fast their Internet speed is and that they are trying to outdo each other in this area. As a business owner, you want the best for your company and for your employees, but you may wonder just how fast your Internet speed needs to be. Is an upgrade really worthwhile, or is the Internet speed you have sufficient for your needs? With a closer look at Internet speed and your business, you may decide that making an upgrade could be beneficial for your business in a number of ways. In many business environments, employees sit in front of the computer for several hours or more each day. They may be working on files, designing products, checking email, researching the competition on the Internet or performing other functions. Some will share files across the Internet with cloud-based computing. You may also use a cloud-based backup solution. When your Internet connection speed is faster, all of these tasks can be completed more quickly. Therefore, Internet speed will have a direct impact on the productivity of your employees who use the Internet throughout the day. In most company’s, this accounts for the majority of the workforce. In many business environments, customer service is hinged at least indirectly on the Internet. Consider, for example, that your staff members may use the Internet to access cloud-based files or to research records when someone calls the customer service department. In some cases, the connection speed is so slow that customers are put on hold, and this can be irritating to customers who want a fast answer to their problem. Faster Internet speed can also be used to promote a better experience with online chat support, email communications to customers and other efforts that will impact their overall experience with your business. In some businesses, the Internet is used to stream video conferencing sessions. It may also be used for voice over IP phone calls, Skype and other communications efforts. These efforts may be with customers, with other employees or with third party clients that you do business with. 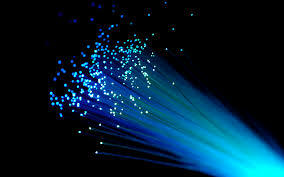 Speed of Internet will impact lag time, down time and other factors that can make communications difficult. Keep in mind that the more heavily the Internet is used, the greater the bandwidth that is needed for the communications activities and other needs. Internet speed can be difficult to understand, and you may be curious about whether you already have enough bandwidth and if your speed is suitable for your needs. If you have relatively light needs or if you have one of the rare businesses that is not heavily dependent on the Internet for work activities, there is a chance that your Internet speed may be sufficient. However, the best idea is to reach out to an IT support technician or a telecommunications company for a consultation. A professional can assess your needs and can determine if you would benefit by making an upgrade.